Pope Francis Isn’t a Liberal. He’s the Pope! How will this week end in Philadelphia for Pope Francis? 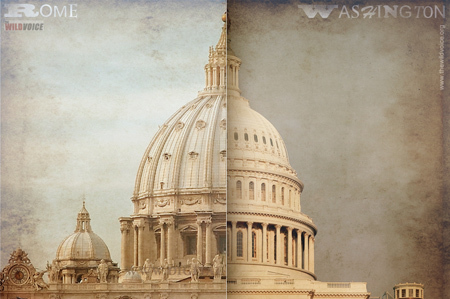 The Pope will visit Washington D.C. from September 22-24, New York City from September 24-25, and Philadelphia from September 26-27, 2015. Something feels like it is on the horizon. This is a pope some have called the first “Black Pope,” because he is the only Jesuit to be named pope. He will go down in history for meeting the USA’s first black president, Barack Obama, #44. Pope Francis is the Black Pope. I say this not because of an incorrect interpretation of some past dubious documents. 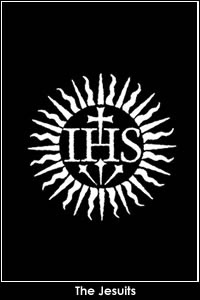 The black robed Jesuits, the military branch of the Roman Catholic Church, have attained the highest office in the Roman Catholic Church. Pope Francis is the first Jesuit Pope, as I mentioned back in 2013. The first Jesuit Pope would naturally be the first fully “Black” (i.e. Jesuit) “Pope.” It is a circular logical statement that is just common sense, and there is nothing conspiratorial about it. In general, the use of the term “Black Pope” is often experienced as a derogatory nickname given to the Superior General, usually by the media and never utilized by the Jesuits themselves. Nevertheless, to ignore its use is to be blind to the “name game” being played. Intriguingly, Pope Francis now wears white, President Obama’s mother was white, and the character depicted in Black Mass is Whitey Bulger (played by Johnny Depp). It is a time of contrasts. These days have been predicted to be the “end times,” but that hardly seems to be in the cards. And will Pope Francis be killed on these American shores? Doubtful. But frankly, I’ve been feeling that a memorable and surprising event will happen in Philadelphia, not Washington, D.C. nor New York City. The name Philadelphia is from the name of a city in Asia Minor mentioned in Revelation in the New Testament. The name of the city meant “brotherly love” from Greek φιλεω (phileo) “to love” andαδελφος (adelphos) “brother”. Jorge – “farmer” (“earth-worker”); variant of George (Greek) “farmer”. Mario – Italian, “bitter, rebellious,” “bitter”; associated with the Virgin Mary by acting as a masculinized form of “Maria.” Mary means “bitter, rebellious, be disobedient.” Spanish, Mario, “Hammer,” “Mars” (Roman god of war). Is he really an Argentine? His last name Bergoglio is Italian. His dad emigrated from Piamonte, Italy. After a period of initial confusion (or the wrong message being sent out to the media), the name Francis used for the new Pope was said to be tied to Saint Francis of Assisi. Did St. Malachy indicate the future of the Papacy and the Roman Catholic Church? Do the prophecies of Saint Malachy give us an insight? Saint Malachy was a 12th century visionary Irish monk, who during a trek to Rome, foresaw all the popes who would reign into the future, to the final one. When his prophecies were published, 500 years after allegedly being found in the Vatican archives, they were debunked as being false. But intriguingly, the prophecies published in Benedictine historian Arnold Wion’s book Lignum Vitae in 1559, has been demonstrated to be very accurate. Indeed, Malachy’s list, today, from 1139, has been found to be remarkably correct. Malachy, in verse, wrote down the future names of the Popes in epigrammatic code, which have been clearly linked to the names of the Popes chosen. Malachy’s series of visions are about 112 Popes from Celestine III, who was elected Pontiff in 1130, until the last Pope who is described in his list as Peter Romanus. The last Pope? Yes, Malachy is said to have seen the end of the Papacy with the election of what would be the next Pope after his also predicted Benedict XVI (The Glory of the Olive). Peter Romanus, in the prophecies, is viewed as the last Pope. The phrase “the seven hilled city” is a direct reference to Rome. “The Seven Hills of Rome (Italian:Sette colli di Roma) east of the river Tiber form the geographical heart of Rome, within the walls of the ancient city. The original city was held by tradition to have been founded by Romulus on the Palatine Hill.” Source. The verse is seen as predicting everything from the end of the Papal structure to the end of the world. Will the celibacy of priests end under the next Pope? And the dreadful Judge will judge the people. Is the Pope Francis Peter the Roman? What will happen in Philadelphia? 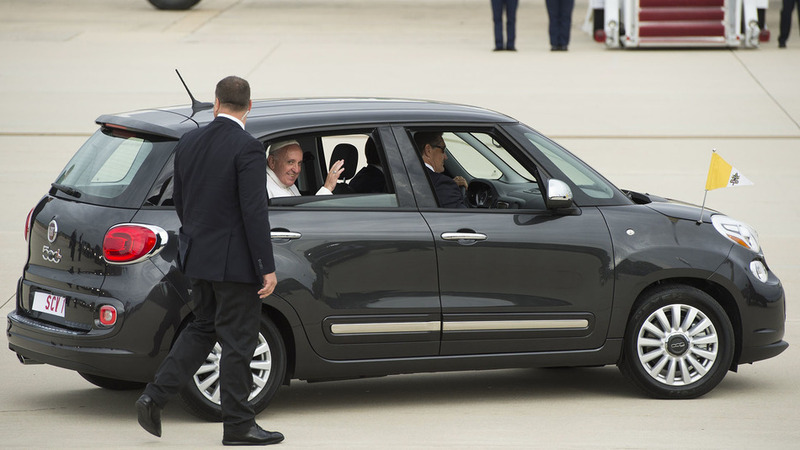 Twilight name on the motorcade: As a CNN reporter pointed out, Pope Francis modestly uses a small car, not a limo or a SUV to get to where he wants to go. The vehicle he employs is a Fiat 500L. Does Anyone Know What the Pope Does? Since the resignation of Pope Benedict there has been an upsurge of interest in the new pope, Jorge Mario Bergoglio (also known as Pope Francis) and his link to the predictions of an Archbishop from the 12th century, known as, Saint Malachy. As many of you know, Saint Malachy, was born in Northern Ireland and was appointed Archbishop of Armagh in 1132. Many of those who knew him best said he received the gift of prophecy and witnessed many miracles throughout his lifetime. He was even known to have predicted the day and hour of his death. In 1139 he received a vision from the Lord which revealed a long list of popes who would rule the church until the end of time (112 Popes total). This vision eventually became known as the “prophecy of the succession of the Popes,” which has resurfaced with the election of the new pope. Pope Pius X (1903-1914) received the title, ”The Burning Fire,” from Malachy’s prophecies. This Pope showed a burning passion for spiritual renewal in the Church. Pope Benedict XV (1914-1922) received the title, “Religion Laid Waste,” from Malachy’s prophecies. This pope tried to bring peace during World War 1 but failed, which lead to the deaths of millions of Christians. He witnessed the rise of communism which brought an end to the Christian influence in Russia. Pope Pius XI (1922-1939) received the title, “Unshaken Faith,” from Malachy’s prophecies. This pope witnessed the rise of Nazi Germany, during which time, he was an outspoken critic of communism and fascism. He ruled when Christians were under persecution from the Europeans and stood faithful until his death. Pope Pius XII (1939-1958) received the title, “Angelic Shepherd.” This Pope had an affinity for the spiritual world and was known as an Angelic pastor to his flock. Pope John XXIII (1958-1963) received the title, “Pastor and Marine.” Prior to his election, he was the patriarch of Venice, which is a marine city. Pope Paul VI (1963-1978), received the title, “Flower of Flowers.” His personal arms displayed three lilies. Pope John Paul I (1978-1978), received the title, “Of the Half-Moon.” This pope was elected during a half-moon and ruled for only one month because he died unexpectedly during the next half-moon. Pope John Paul II (1978-2005), received the title, “Eclipse of the Sun, or Labor of the Sun.” This pope was born during a solar eclipse and was buried in Rome during another solar eclipse. He was from Poland and used the Solidarity Labor Union. Joseph Ratzinger (2005-2013) received the title, “The Glory of the Olive.” Joseph chose the name Pope Benedict XVI. Interestingly, the Order of the Benedictines refer to themselves as, “The Olivetans.” Not only that but the name Benedict means “blessing.” If we were to put his name together it can literally mean, “The Blessing of the Olive.” This pope resigned Feb. 2013, which now leads us to the current pope, and his prediction from Saint Malacy. Is Pope Francis, The Final Pope? Before I go any further I want to clear something up. It’s always important not to base prophetic understanding upon visions outside of the Bible, even when they come from godly individuals. Our prophetic understanding must come from the revelation of the Biblical prophets. However, if a believer has established a reputation of speaking prophecies that continually come to pass, then their information should be reviewed and considered as a possible prophetic word. The current pope is Jorge Mario Bergoglio, who chose for himself the name of, Pope Francis. No Pope has ever taken on the name of “Peter,” so it is no surprise that Jorge did not either. The shock lies in the fact that Jorge picked the name, Pope Francis, whose real name is, Giovanni di Pietro [or Peter]. Not only that but the word “Roman” implies that the pope must be of Italian decent. Jorge is a native of Buenos Aires, Aregentina, and one of five children of Italian immigrants, thus making him of Italian decent and fulfilling the prophecy of “Peter the Roman.” Pope Francis is the first Jesuit pope, the first pope from America, and the first pope from outside Europe since Pope Gregory III in the 8th century. Could this pope be the fulfillment of Malacy’s final prophecy or is there a twist? The Twist? Is Pope Francis “Peter the Roman,” the 112th Pope, or Will it be the Pope After Him? If Pope Francis is not the final pope, then the pope after him might be. Currently, there is speculation among Catholic historians who claim that Pope John Paul II was a continuation of Pope John Paul I, and therefore should be counted as one succession, rather than two. Considering Pope John Paul I only ruled for one month, they tend to wrap him together in succession with Pope John Paul II, thus making it one rule. Putting Pope John Paul I and II as the 109th Popes, Joseph Ratzinger as the 110th, Pope Francis as the 111th pope, and the 112th pope in the future. In addition John Paul I was known as ‘half-moon’ and John Paul II ‘the labor of the sun.’ These are the reasons some Catholic historians claim Pope Francis as the 111th pope, not the 112th. Whether or not Pope Francis is the 111th pope or 112th pope, only time will tell. Either way our safest interpretation of the future lies in the Scriptures and not in outside predictions. While the Bible does not clearly teach that Pope Francis is the false prophet of the latter days, the timing of the election of Pope Francis is consistent with the time period for the end of the age and the rise of the final Antichrist. 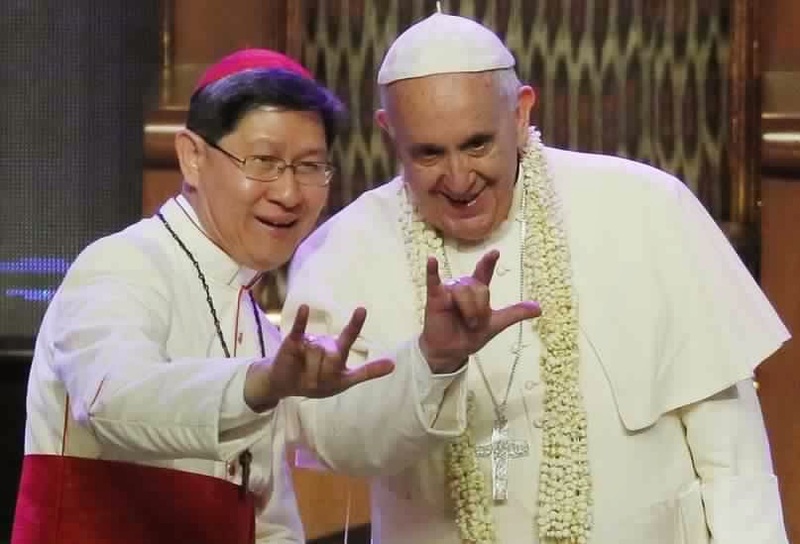 It is possible that the person with two horns like a lamb will be an apostate Pope who will unite apostate Christianity and Islam under his control. He will perform miracles, call down fire from heaven, and create a living, speaking image (or icon) , forcing men to worship the image and the antichrist himself.